Last night I took some pictures of our bedtime rituals with Davey. 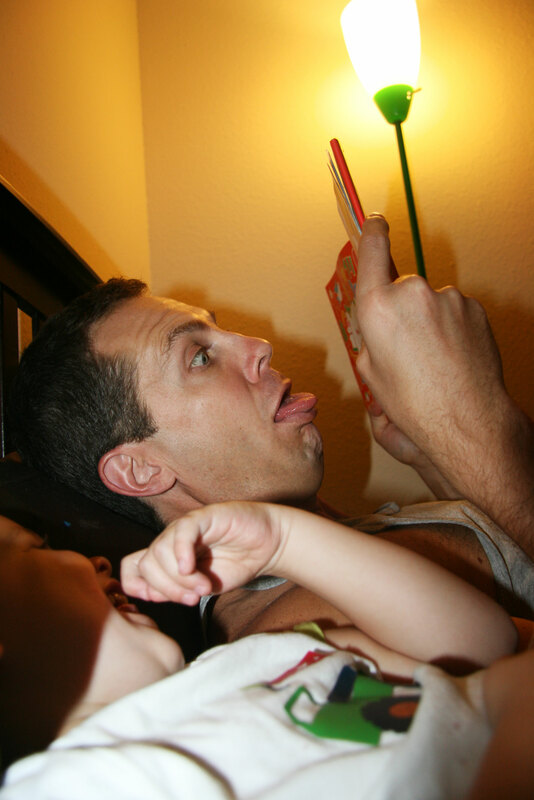 Every night after we get Davey ready for bed, we crawl into bed with him for bedtime books. Last night we were reading a book about a Cookie Baker! Right up Davey’s alley especially since we’d just baked cookies together. 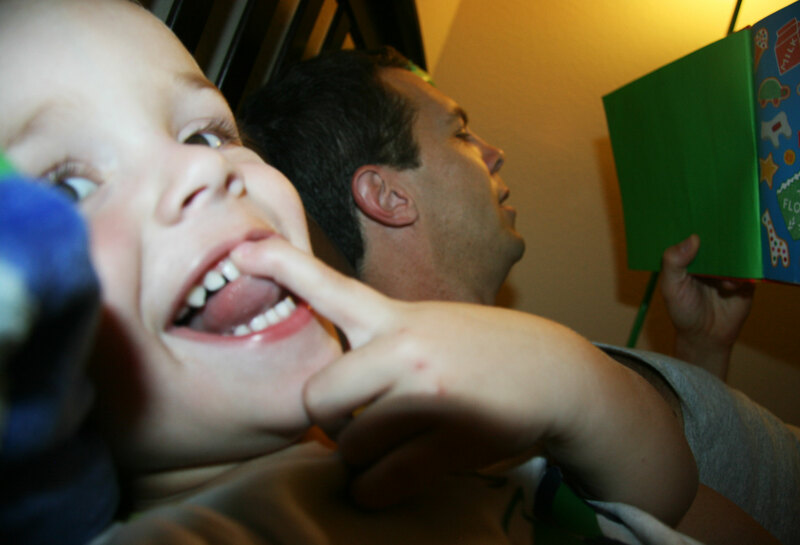 So Daddy was being silly as he read, and he was making Davey laugh. 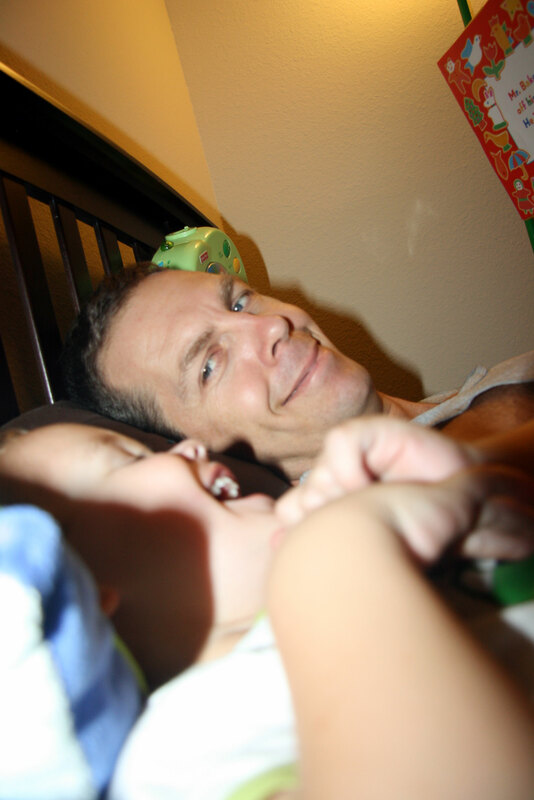 Davey found that hilarious and made Daddy repeat his fake vomiting about 10 times. We all love story time. Once story time is over, we turn the lights out. Lately though, Davey doesn’t slow down much. He keeps talking and talking and talki…. (and he does gradually slow down…) and then he is out mid-sentence. 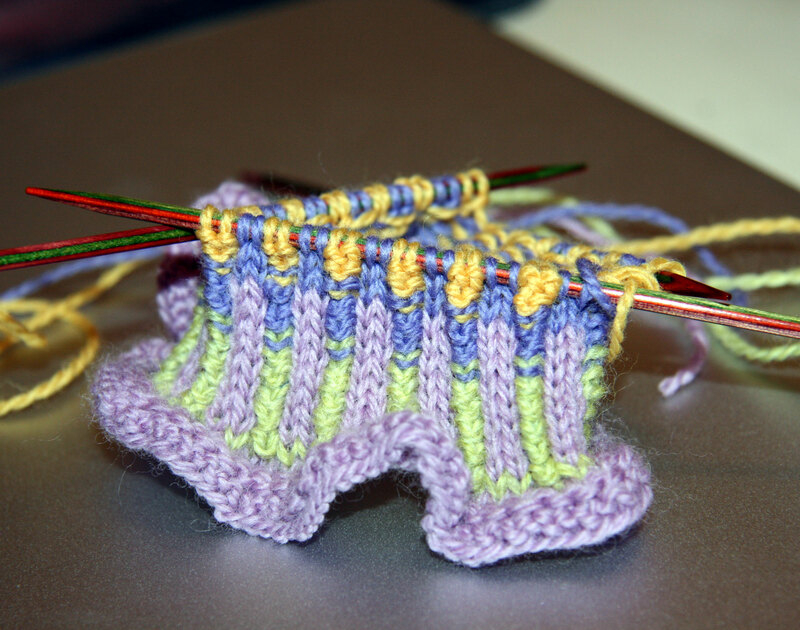 And I finally got back to work on my second Breakfast sock last night. I’ve made some progress! Love hearing about your family and seeing pictures. Many years ago, I babysat for a family where bedtime was Daddy time. Twas so meaningful to those children even into their adult years. Probably don’t realize it yet but both you and David are making some pretty neat memories. Thanks Lindsay! I love writing down our stories!